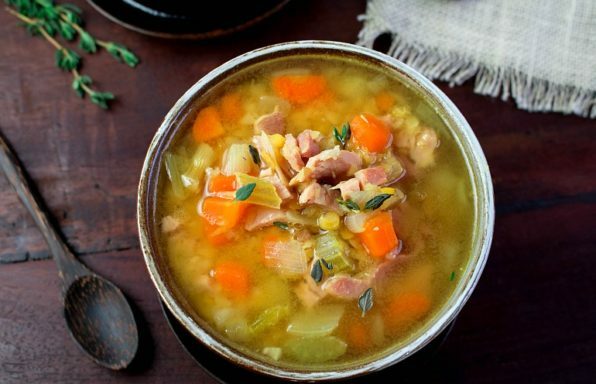 This delicious homemade soup can be made in an instant pot or on the stove top. 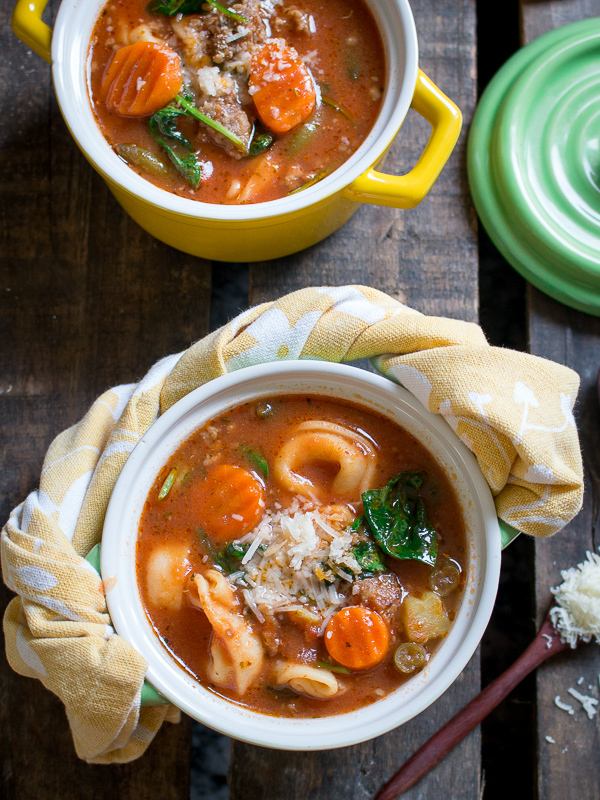 One slurp of this Instant Pot Italian Sausage Tortellini Soup will tantalize your taste buds with the little spice from the mild Italian sausage, rich tomato based broth, garden veggies and aldente cheesy tortellini. 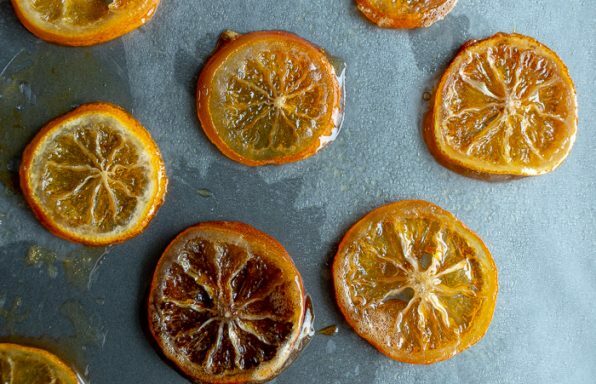 Loads of flavor with just a handful of ingredients. 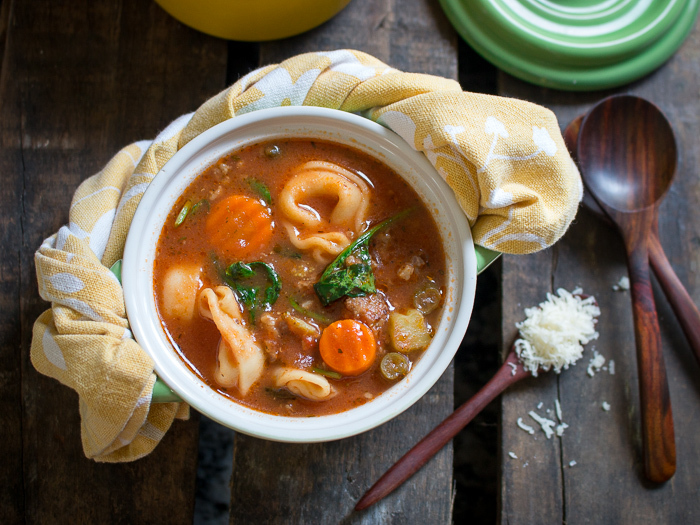 You are just going to love how easy it is to throw together this Instant Pot Italian Sausage Tortellini Soup. This is one seriously easy dump, cook and go kind of 30 minute recipes. If you make this recipe in an instant pot/ pressure cooker, you do not need to monitor your cooking. You can be doing loads of other things like; helping the kids with homework, make school lunches, wash your car, get the kids ready for a sporting practice, catch up on work e-mails or a million of other things. Sweet Italian gluten free pork sausage but you can use any kind of Italian sausage you like. Dried gluten free tortellini or you can use frozen tortellini but you need to reduce the time by 2 minutes. Just 9 ingredients! If you check your inventory right now, we bet you have everything on that list except the sausage and tortellini. Need it dairy free? 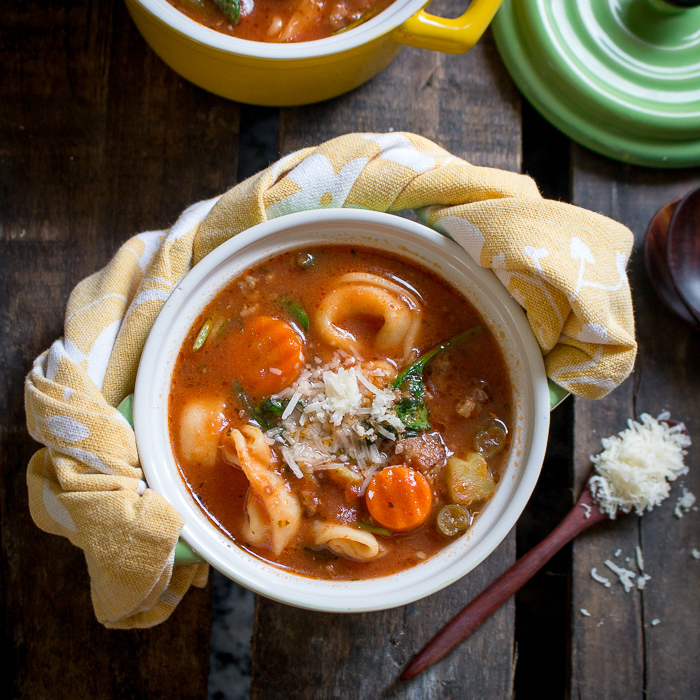 Swap out the cheese tortellini with gluten free pasta of choice. If you need it meat free, Change out the Italian Sausage with Vegan sausage or just add in a cup of white cannellini beans. Skip the sauté mode in the recipe step and add a little dash of red pepper flakes. 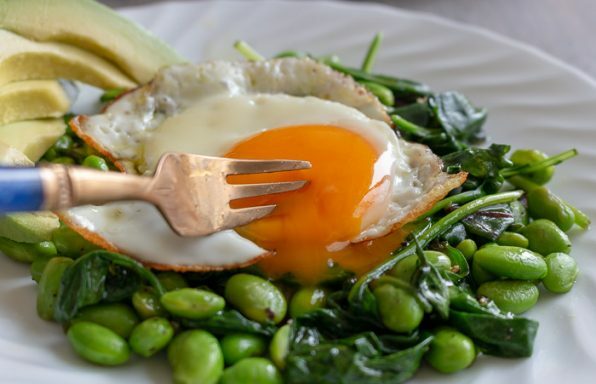 Looking for low carb options? Just hold the cheese tortellini. Add some extra vegetables. We had a dire incident the other day. Whilst trying to use our slow cooker, cooking on the stove top, helping someone with their homework and trying to take photos for the website, we started to smell this horrid burning rubber smell. Unfortunately, it was coming from our stove top. In our haste, we had turned on the burner directly below the slow cooker and the slow cooker was melting from the outside in. We ran over quickly to try to save the poor girl (slow cooker) but it was too late. Her wires were exposed. Upset? Yes. Sad as this was a gift from a very dear friend? Yes. However, it then dawned on us this was exactly the opportunity we were looking for. We bought ourselves an instant pot to see what all the hub bub has been about. OMG…we must have been living under a rock. Cooking with an instant pot is life changing. Yes, we said life changing. Not only can you do everything in one pot but it saves time, clean up and you can multi-task while you are using it. Check out these other delicious 55 Must Try Cozy Crockpot Slow Cooker Instant Pot Recipes. While we were cooking our Instant Pot Italian Sausage Tortellini Soup, we managed to get the kitchen cleaned up, set the table, did a load of laundry and made ourselves a cocktail to celebrate. It still takes a bit of time for the instant pot to come to temperature to pressure cook. This time can from 10 minutes to 30 minutes but that is inactive cooking time. This inactive cooking time you can get active taking care of your real life to do’s list and get things done. 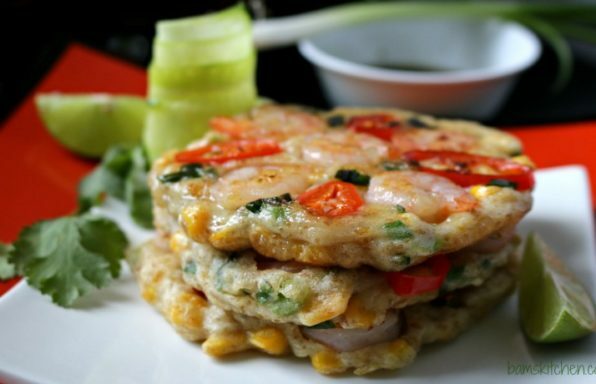 If you are cooking on the stove top, you must always be active cooking. Stirring, watching it and adding ingredients in at different times and making sure it does not boil over. 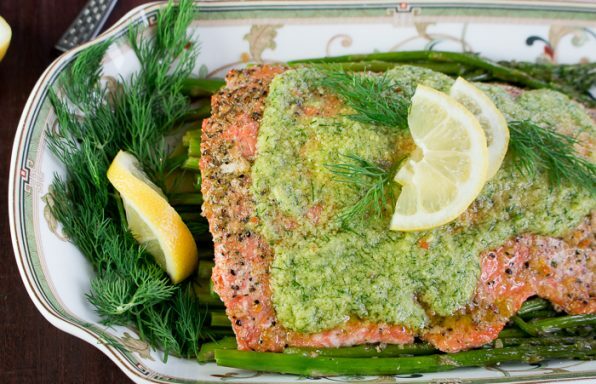 With an instant pot, cooking is foolproof. When it is done, it just goes to the warm function if you have set up that way. You can use the quick release and dinner just got done faster. How many of you own an instant pot, slow cooker or pressure cooker? Can you believe it is already fall? In our location, it is already cold, wet and windy. These are the three words that need SOUP. Fall/autumn is that time of the year that we need to be good to our bodies during this change of season. If you have not had a chance to read our Feed Your Spleen; Nourish Your Body post then take a moment to do so as this is the time of the year your need to take care of yourself. If you are in the mood for a good cozy soup, be sure to try our Suan La Tang (酸辣汤) Hot and Sour Soup, Curried Ham and Lentil Soup and one of our more popular soup recipes…Cozy Chicken Curry Soup- Super easy and super nutritious. 1Turn instant pot to sauté function on high and add 1 tablespoon of olive oil and mild Italian Sausage. Sauté and stir until browned about 5 minutes with lid of instant pot off. Click cancel on instant pot to turn off. 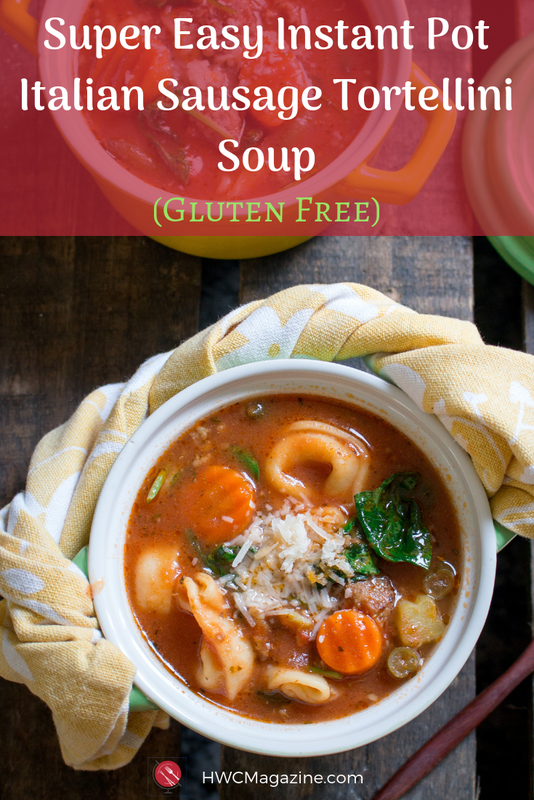 2Add canned tomatoes, chicken bone broth (or chicken broth, vegetable broth), bay leaf, salt and pepper, Italian dried seasoning, garlic powder, frozen vegetables and lay cheese tortellini on top. 3Close and lock lid of Instant Pot and turn the steam release handle to sealing. Press the pressure cook function and change the time to 2 minutes on high pressure. 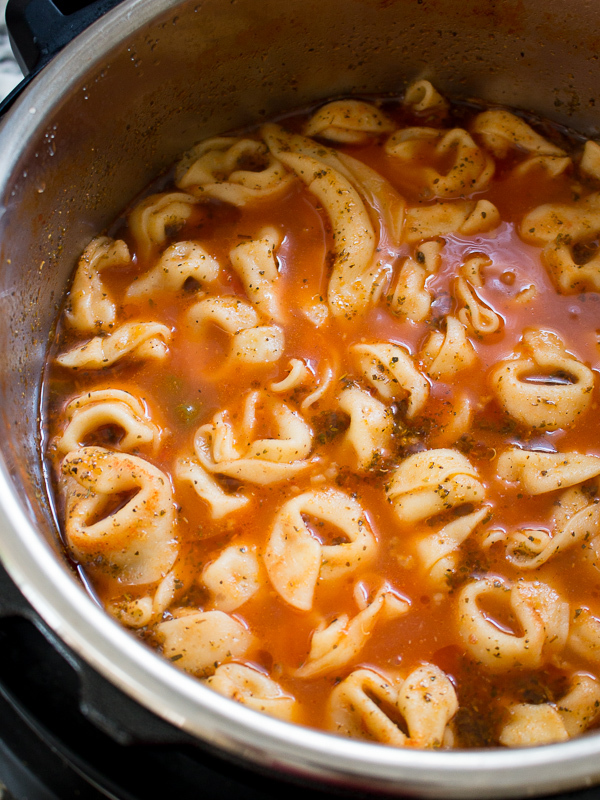 (If using frozen tortellini pressure cook for only 1 minutes on high pressure) It will take somewhere between 10 minutes and 20 minutes for the pressure cooker to come to temperature. 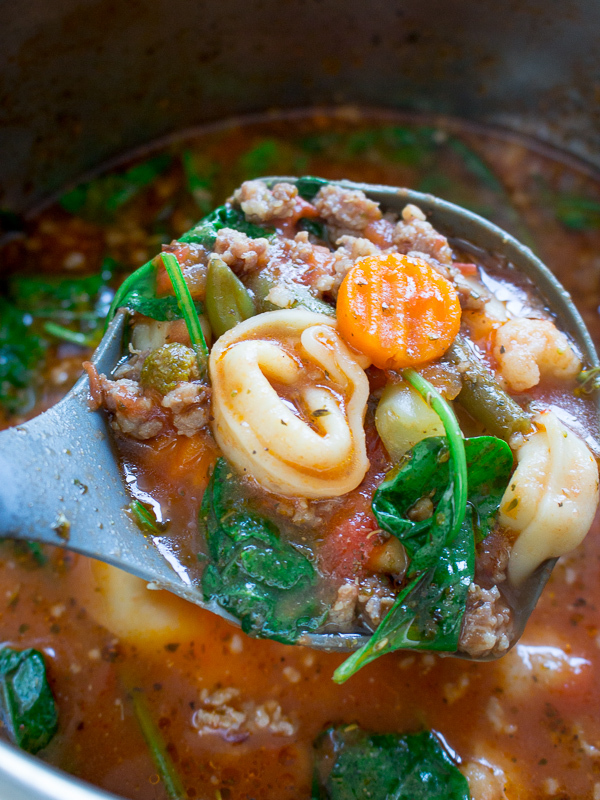 Once Instant Pot Italian Sausage Tortellini Soup has pressure cooked it will beep and if you have it set up this way it will go to the warming function. 5When safe to do so, remove the lid from the instant pot. 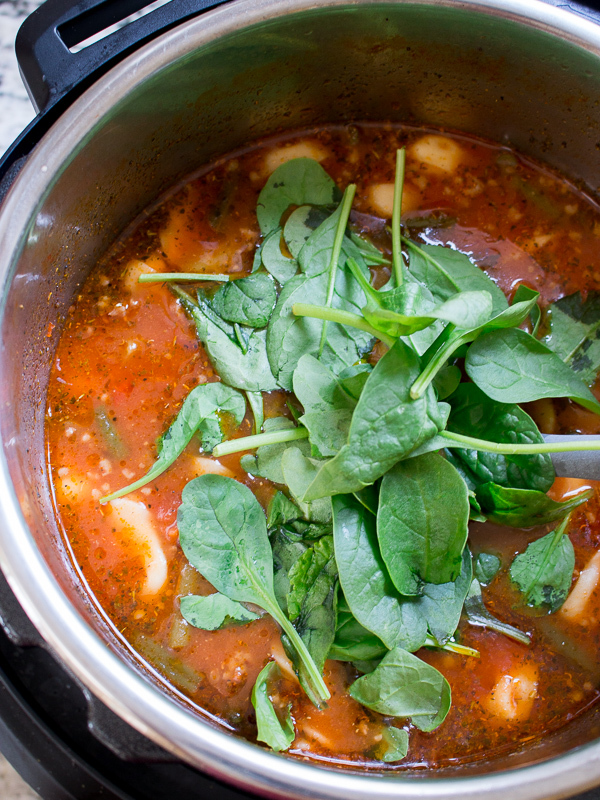 Stir in your spinach. 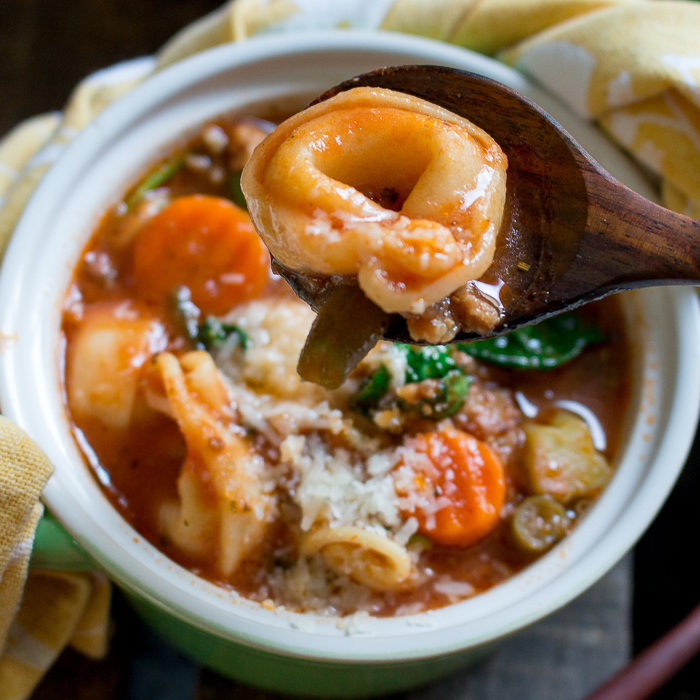 Ladle your Instant Pot Italian Sausage Tortellini Soup into bowls and top with a little parmesan cheese if desired. Enjoy. 1Chef Notes: If you plan on using frozen tortellini instead of dried tortellini, reduce your pressure cooking time to 1 minute. You can use chicken bouillon or broth or vegetable broth instead of chicken bone broth. 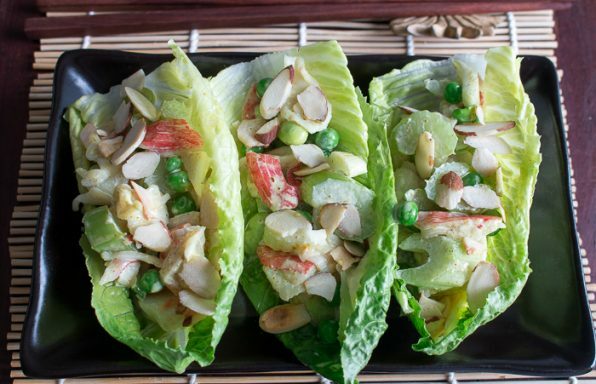 You can use any frozen vegetables your little heart desires or fresh. You can use fresh tomatoes from your garden but you will need to blanch and peel first. However, do not pressure cook spinach as it will lose its’ beautiful green color. Instead, stir your spinach at the end of the cooking as the heat from the soup with cook the spinach and keep it bright green. 1Stove Top directions (if you do not have an instant pot) Place olive oil in a large pot and saute Italian sausage until browned about 5 minutes. Add canned tomatoes, chicken broth, bay leaf, salt and pepper, Italian seasoning, garlic powder and frozen mixed vegetables. Cook over medium heat for about 15 minutes. Add cheese tortellini and cook according to time on your package directions. Turn off burner and add spinach and stir. Enjoy with a sprinkle of parmesan if desired.